Stay in the heart of Karon Town, with dining and entertainment opportunities at your doorstep and the wide expanse of sands at Karon Beach only moments away. 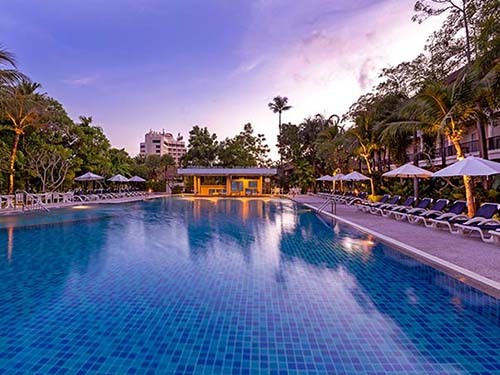 Whether you are longing a fun family holiday on this exciting island or a romantic escape, Centara Karon Resort Phuket makes for a great holiday base from where to enjoy all the many facets of Phuket. 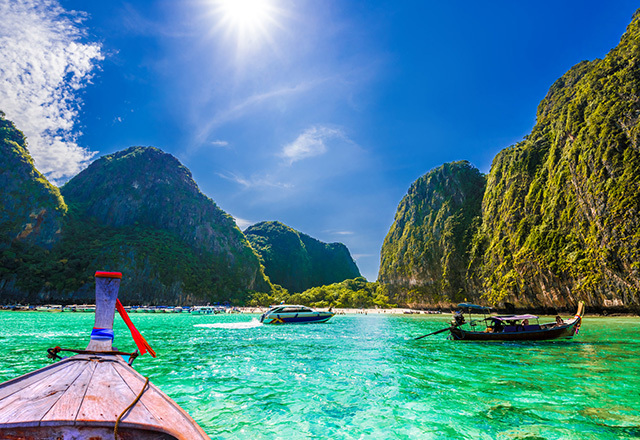 We cruise by a large local boat to two of the world’s most beautiful islands; Phi Phi Don and Phi Phi Leh, also known as the “Viking Islands” because of the ancient color paintings resembling Viking boats in one of the caves. Phi Phi Leh boasts huge limestone cliffs with hidden grottoes and scattered idyllic beaches. 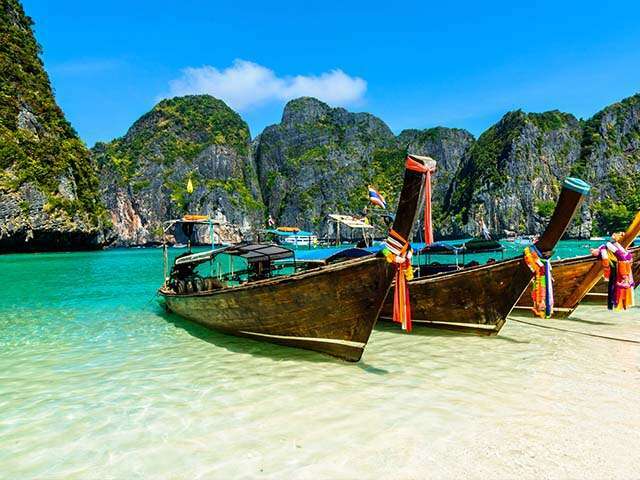 The islands came to worldwide prominence when Ko Phi Phi Leh was used as the location for the Hollywood movie “The Beach”. Take in the spectacular scenery ahead of a stop at Phi Phi Don for lunch at a restaurant in Ton Sai, the main village and tourist centre of the two islands. After lunch there is ample time to shop, swim, snorkel or just relax on the beach. Masks and snorkels are provided free of charge and a boat will take us to excellent snorkeling spots nearby that have abundant coral and a plethora of tropical fish. After a relaxing afternoon on the famous beaches of Phi Phi Island, we will return to Phuket in time to view the evening sunset. 'Dreams of Phuket' package is an add-on package to the 'Dreams of Bangkok' package. Price is per person based on double occupancy from select Canadian cities. Package is based on minimum two people travelling. Prices and schedules are subject to change without prior notice. Tax and fuel surcharges are included but subject to change without prior notice. Deviation / amendment fee and restrictions will be apply. Please contact UNIGLOBE Travel for details. 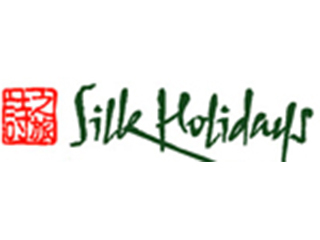 For responsibility, booking terms and conditions, please ask your booking agent for a copy of “Silk Holidays – General Terms and & Conditions”. Return from Phuket to Canada is included if 'Dreams of Bangkok' package is puchased. If puchasing 'Dreams of Phuket' package separately, additional charges apply for return flights.